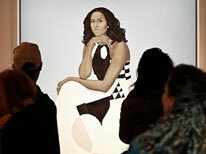 You are receiving this newsletter because you registered at SmithsonianEducation.org or participated in a Smithsonian Education event. To ensure you receive future emails, add learning@si.edu to your trusted email list. Having trouble reading this email? View it in your browser. Twenty full-color posters present images captured by satellites circling the globe, recording conditions and events that are nearly impossible to document on the planet’s surface. 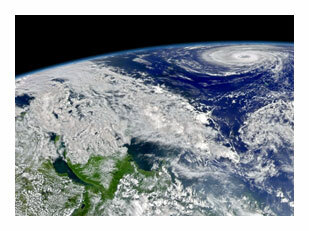 Accompanying text explains how satellite imagery is gathered and used to explore Earth. 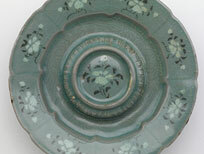 Offered by the Smithsonian Institution Traveling Exhibition Service. Create a free account to access more than 3 million digital images, videos, texts, and more. Discover and use these with thousands of carefully curated, easily accessible, customizable, and shareable learning collections. Free for educators and students to use, school-safe, and easy to integrate with your existing resources. 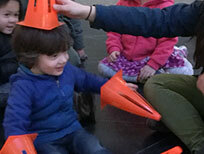 Enjoy guided tours and gallery activities at this free workshop on Saturday, March 23, at the Freer|Sackler. Preregistration is required. Learn how to use portraiture to build visual literacy skills. The gallery presents two summer institutes, June 24-28 and July 8-12. Teachers of K–12 may apply as individuals or in groups. 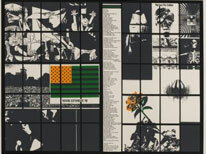 The exhibition Artists Respond: American Art and the Vietnam War, 1965-1975 is the starting point for an exploration of historical empathy, interrogating sources, and respectful debate. 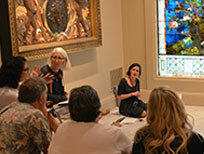 This Smithsonian American Art Museum workshop features two guest speakers and a catered lunch.. 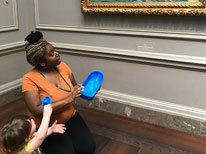 Learn how visual art can be a means to critical thinking and interdisciplinary connection at one of the Smithsonian American Art Museum’s weeklong summer teacher institutes. Apply by March 31. Join the Smithsonian Early Enrichment Center on March 14 and 15 for a hands-on seminar on how to use community spaces in early-childhood learning. 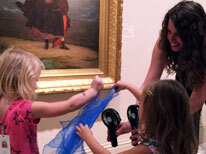 Integrate the arts into STEM to engage young children in cross-curricular experiences. 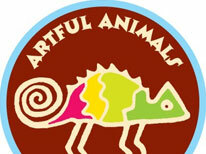 The Smithsonian Early Enrichment Center host this two-hour evening workshop on April 18. Join the Smithsonian Early Enrichment Center on May 6 and 7 for a fast-paced, interactive seminar on the use of play in early-childhood learning—in the classroom, museum, and community. 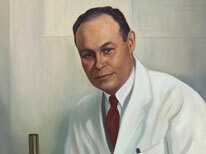 This half-day summer workshop includes lessons on the story of Dr. Drew, a physician and researcher of the early twentieth century, as well as activities on density, diffusion, and the circulatory system, and a gallery exploration at the National Museum of African American History and Culture. For teachers of grades 4-6. This weeklong workshop from the National Museum of African American History and Culture offers strategies for connecting with a school’s community through the challenging topic of identity, especially race. Open to pre-K–12 educators. Held July 8–12. 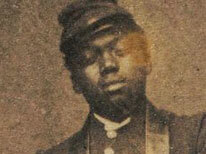 This weeklong workshop from the National Museum of African American History and Culture takes an in-depth look at how the Civil War is remembered in public history and is made visible through works of art such as public monuments. Designed for middle and high school educators. Held July 22–26. 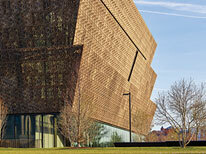 This weeklong workshop from the National Museum of African American History and Culture provides teachers with new content and strategies for STEM lessons using African American history as the focal point. 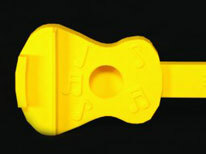 Designed for teachers of grades 3–5. Held July 29– August 2. Bring American art to your students with ten free interactive videoconferences from the Smithsonian American Art Museum. For third grade through adult. Learn more and request a program. The Arts Can Take Us Places! Put the arts into STEM and create some STEAM! Invite the curator for education at the National Museum of African Art into your classroom and explore many themes that support close observation and student imagination. Winter, spring, and summer shows are on sale now. 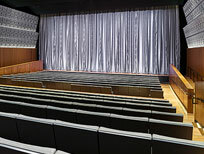 Individual and group tickets are available for shows in Smithsonian’s Ripley Center. 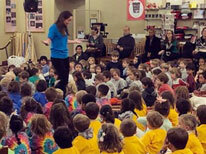 Select live educational performances are on tour and can come to your school. 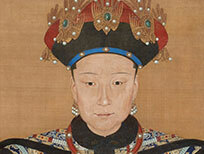 Students in grades 3-12 can look into the lives of imperial women of the Qing dynasty in the special exhibition Empresses of China’s Forbidden City, 1644–1912. Limited availability. .
Students in grades 10–12 can learn, question, and create history in a weeklong intensive reading and writing program at the National Museum of African American History and Culture. Held June 24–28, from 8:30 am to 4 pm. Student applications close March 22. 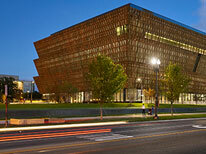 The National Museum of African American History and Culture offers the clinic to students participating in National History Day. Open March 6–20, or until all review slots are filled. 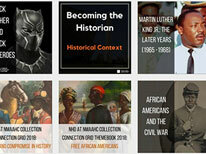 Students can submit a project on any historical subject. 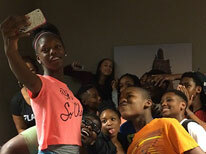 The National Museum of African American History and Culture celebrates the 2018-19 National History Day contest year during the National Contest Week (June 9–12). It includes special activities and a student documentary showcase. Held Wednesday, June 12. 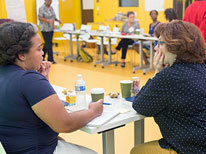 In this weeklong workshop from the National Museum of African American History and Culture, a selected work is the basis for writing exercises to refine students’ skills. The 2019 summer book is The Hate You Give by Angie Thomas. 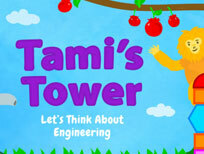 Tami’s Tower: Let’s Think About Engineering is an educational game in which students design a solution to a problem using basic engineering-design principles. Smithsonian Science for Makerspaces includes 3-D models and thoughtfully designed lesson plans that guide educators and students through the engineering-design process: observing, making, designing, and testing solutions to a problem. 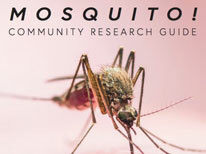 Learn about mosquitoes and mosquito-borne diseases while helping youth take action in their local community. 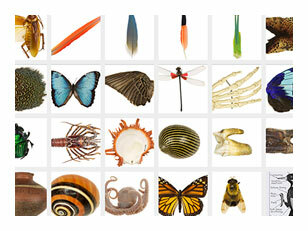 The Smithsonian Science Education Center offers a downloadable guide for educators and students ages 8-18. 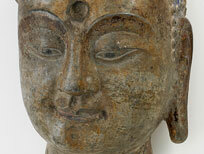 Teachers across disciplines and grade levels can copy and adapt a new Learning Lab collection from the Freer|Sackler. Discover twenty lesson plans designed by pre-K through university educators. Explore new resources for teaching the African American experience across multiple subject areas: history, visual arts, culture, and STEM. You received this newsletter because you are subscribed to Smithsonian Education News. If you no longer wish to receive these newsletters please click here to unsubscribe. 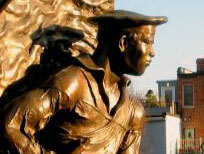 Smithsonian welcomes personal, educational, and other non-commercial uses of this content. Learn more. Produced in 2019 by the Smithsonian Institution. Watch Smithsonian and Smithsonian Education videos on YouTube. Become a fan and stay connected on Facebook. 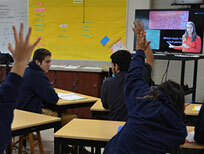 Follow Smithsonian and Smithsonian Education on Twitter. Follow Smithsonian and Smithsonian Education with Pinterest.